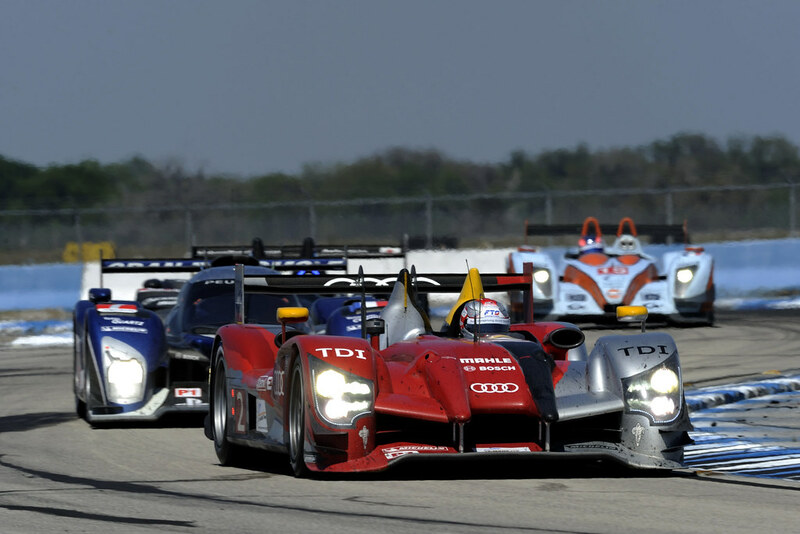 Ingolstadt/Sebring, March 20, 2011 - The Audi R15 TDI was on par with the new LMP1 sports cars from Peugeot and Acura/Honda in its last ever race. But Audi Sport Team Joest missed racing luck in the season opener of the Intercontinental Le Mans Cup (ILMC) at Sebring (U.S. state of Florida). Both cars were delayed by incidents in the first half of the 12-hour race. The hopes of Timo Bernhard, Romain Dumas and Mike Rockenfeller were destroyed after one hour of racing, when Rockenfeller had to pit twice in a row with a rear left puncture. Both times there was also bodywork and rear wing damage. The repairs cost a total of eight laps and dropped the reigning Le Mans winners down to 50th position. Dindo Capello, Tom Kristensen and Allan McNish were able to take the lead several times with the "sister" car. At the beginning of the fifth hour, however, Capello, running in second position, became the victim of an attack by Peugeot driver Marc Gene who hit Capello hard on the right rear wheel. As a result of the collision, the right rear suspension of the Audi R15 TDI had to be replaced. The Italian rejoined the race in 17th position, seven laps down. In the remaining hours, the two Audi teams were able to move up into fourth and fifth positions respectively with consistently good lap times. However, Audi Sport Team Joest was denied the hoped-for victory in the "farewell" race for the Audi R15 TDI despite both cars having the performance to achieve it. 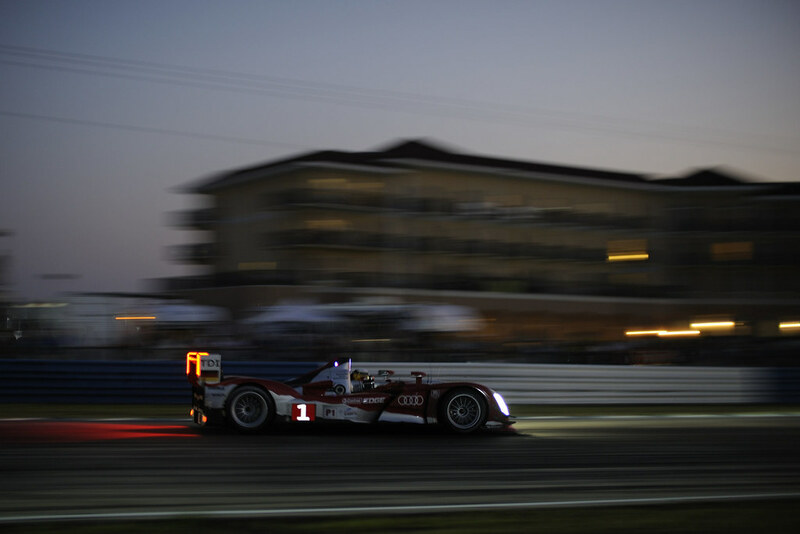 In March 2009, the Audi R15 TDI won the Sebring 12 Hours on its race debut. The greatest triumph came last year with a 1-2-3 victory and a new distance record in the Le Mans 24 Hours. In total, the Audi R15 TDI competed in ten races from 2009 to 2011. It scored three victories, twelve podium results, one pole position and two fastest race laps. A total of ten chassis (100-105 and 201-204) have been built. After its "farewell" appearance at Sebring, the record winning car of the Le Mans 24 Hours will now finally be moved to the museum. Audi Sport Team Joest from now on will entirely focus on the new closed Audi R18 with its race debut scheduled for the second round of the Intercontinental Le Mans Cup on May 7 at Spa-Francorchamps (Belgium). Dr. Wolfgang Ullrich (Head of Audi Motorsport): "Today we had the performance to get on the highest spot of podium. But unfortunately we had problems with both cars we could not really influence. The team afterwards simply tried to make the best of it. After the problems, which were not our fault, both cars recorded consistently good lap times. The R15 TDI would have certainly deserved a better conclusion. And that today would have been possible. Now we have to look forward." Dindo Capello (Audi R15 TDI #2): "The incident with Gene destroyed the race for the #2 Audi and affected me mentally in my last stint. The car was capable of going faster, Tom (Kristensen) and Allan (McNish) showed that. Watching the television replays of the incident afterwards, it is clear I was not responsible for the accident -and only this makes me feel a little more relaxed. To have our race effectively ended before mid-distance was frustrating." 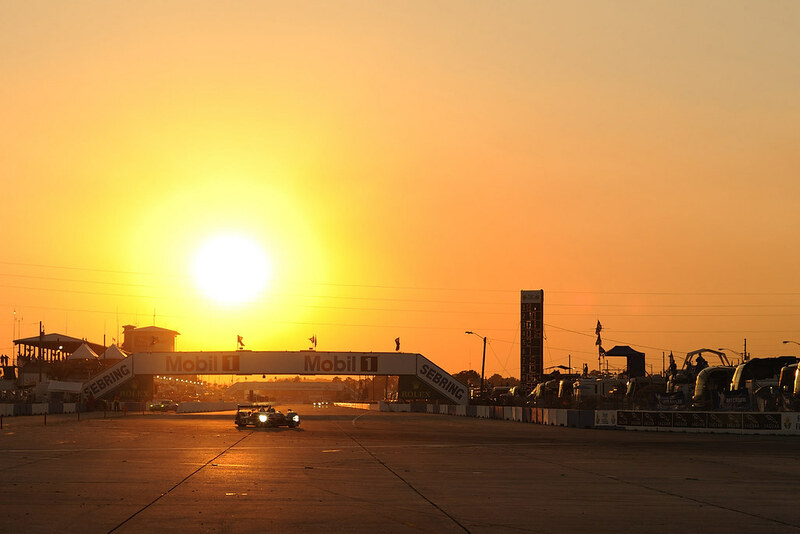 Tom Kristensen (Audi R15 TDI #2): "The Sebring 12 Hours is over - a brilliant race and a good send-off for the R15 TDI and certainly one of its best performances. But of course we are disappointed too. Until the incident with Marc Gene we were definitely in contention. We had a great car, especially in the evening stints, and would have had a good shot at winning to put the car in the museum in perfect style. The engineers and crew did a great job all week." Allan McNish (Audi R15 TDI #2): "It was a fast and tense race as we knew it would be but unfortunately for our car and also the sister car we had problems earlier on. The sister car with two punctures while for our car, Marc Gene miscalculated and collected Dindo which damaged the right rear suspension and put us some laps down. We can go away with some positives that the car was very competitive with good balance and worked well especially towards the end of the race. The lap times were fast and we would have been in with a chance for the victory." Timo Bernhard (Audi R15 TDI #1): "We finished fifth, although today we had a car to win. The Audi R15 TDI was absolutely competitive here. We had two punctures in a row which was just unlucky. ‘Rocky’ apparently collected carbon splinters on the track. We never gave up, but of course we could not make up all of our lost laps." Romain Dumas (Audi R15 TDI #1): "It was a difficult race and as we’d expected with such a big field, this can create a lot of problems. Unfortunately we had a problem early in the race with punctures and this killed our race as we were unable to get back the lost time. That was a shame because I think we had one of the fastest cars in the race - our pace was very good so that’s a big shame. In general it was good, we could have won, but we didn’t - perhaps next time." Mike Rockenfeller (Audi R15 TDI #1): "I had two left rear punctures at the very beginning. However, I have to confirm that neither of these issues were tire problems. The first time, I ran over fragments of carbon on the track. The second time it was a result of damage by a touching body part. Too bad, because the car was handling incredibly well, especially at the end when the sun had gone down. We have to get over this and analyze the errors that have also happened." Ralf Jüttner (Technical Director Audi Sport Team Joest): "The cars were both very good, the drivers almost talking enthusiastic about them. We’ve really been competitive. But after an hour our problems began with ‘Rocky’s’ two damaged tires. We had to go back to the tent and it is clear you cannot make up this lost time. After that a few other bugs happened which we must learn from. The other car did well until Marc Gene ran into Dindo. We had to change the suspension in the tent, so this car was also out of contention. The fact that we still came home in fourth and fifth places at the end was quite sensational."